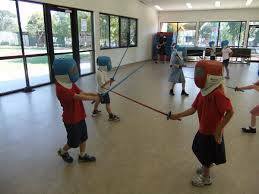 Children can begin fencing as early as 4 years old. At this young age, fencing class consists of basic footwork and blade work, exercises to improve hand-eye coordination, games to foster coordination skills, all with our special plastic equipment sets which are much lighter and safer. Once children turn 7, they will be using the metal equipment you see in competitions. All classes conclude with supervised fencing bouts. Children love the opportunity to fence each other and use the skills they learned in class. Our coaches are all world-class instructors who have coached and/or fenced at National levels. They are well-versed in the latest pedagogical techniques in the sport of fencing. 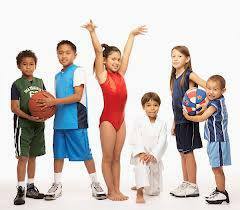 Classes and lessons are designed to accommodate students of different ages and skill levels. We offer a FUN, ACTION-PACKED, and UNIQUE birthday party experience! Fencing instruction by one of our expert coaches. Will talk about fencing history, demonstrate techniques and footwork, then the fencing competitions begin! Fencing portion is 70-75 minutes, party is 45- 50 minutes, wrap-up is 10 minute. Please arrive 10 -15 minutes before your party’s scheduled time for preparation. En Garde! Party time! Happy Birthday and HAVE FUN! School Holiday Fencing experience Classes / Camps / School Fencing Programme. All fencing equipment is provided. An optimum number of students for this program is 10-14. Custom programs can arrange. Contact the office for ideas and suggestions. If your school is unable to host an after-school program, you are welcome to try classes held at our facility every day. Please contact us if you would like more information about setting up a fencing program for your school or center. receives a certificate of completion. At URE, we’ve taken the exciting and elegant Olympic sport of fencing; extracted the focus, strategy and tactics relevant to modern business, and created unique and unusual fencing-based team building events that are memorable, motivating and great fun! Why offer a sword fighting activity? A typical event would involve demonstrations, followed by 15-45 minute taster sessions. Depending on the numbers and time available, each session can culminate in a mass battle – always hugely entertaining! We can tailor the offering to suit your requirements, bringing in Top athletes, extra demonstrations etc.